This document is the property of Iziko Museums. Should you wish to make use of it in any manner, permission must be obtained from Iziko Museums. An appointment needs to be made in advance with the collections manager and the curator of the collection at Iziko Social history centre to view the object. 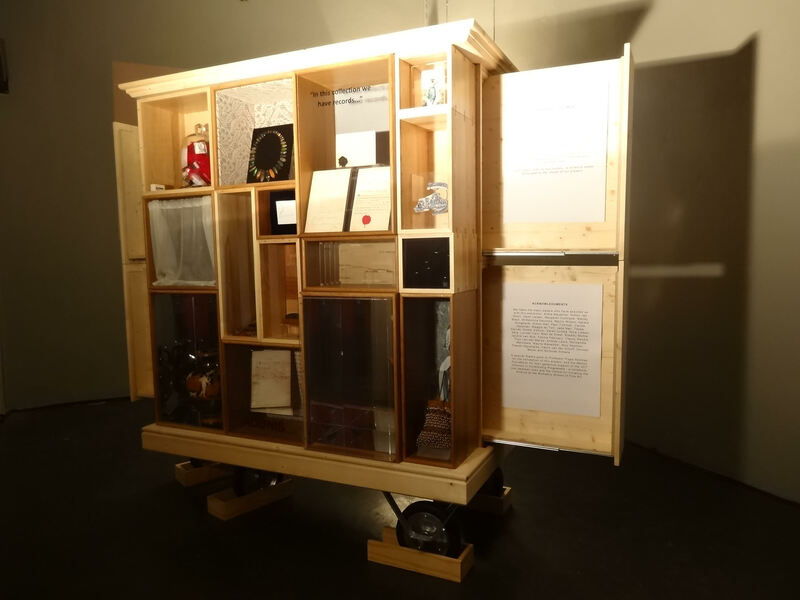 Paper is extremely fragile and cannot be moved around without assistance from the collection manager. The certificate Nº 3737 was issued by the Slave Registry Office, to certify that the slave, Adonis, was transferred into the property of Mr Ryk Hendrik Myburgh. 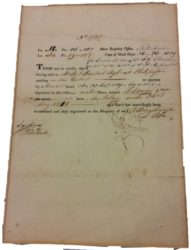 On the 26th of May 1829, the Estate of the late J. A. Myburgh was sold to a Mr Ryk Hendrik Myburgh. Within the estate, as was common during that time, were a number of slaves, one of them was called Adonis. At only eleven years old, an age between child and teenager the slave named Adonis was sold. Although he was born long after the Slave Trade Act of 1807, the young Adonis was still subjected to slavery. This is because the Act only abolished the trade of slaves, and not the ownership of them. At that time any child born of a slave was also a slave, which allowed slave owners to increase their slave numbers without trading. 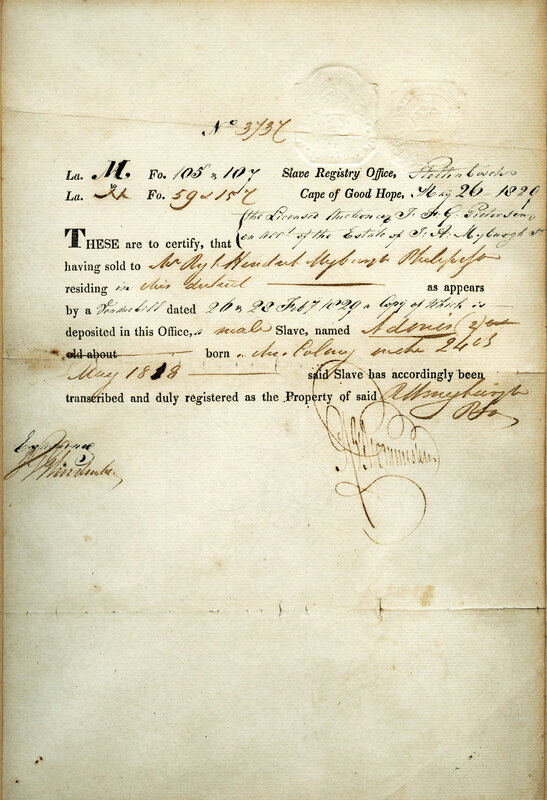 This document, which certifies the transfer of ownership as mentioned above, is housed at the Iziko Social History Centre in Cape Town. The document is over 180 years old and is in an extremely fragile condition. The document is made from cotton rag paper, travelling a long distance from Britain to reach the Cape Colony, and traded in exchange for some sort of currency or goods. This very paper documented the sale of a human being, a child treated as a commodity, much like the paper that recorded the transaction. We may be able to compose a narrative related to, not only trade but, the socio-economic status of the Cape colony at the time, and of course, the story of slavery. This document also raises pathways for further exploration about the life of Adonis, a boy who, though he was born into slavery, had a chance to survive until emancipation. Who was Adonis before becoming the property of the Myburghs? What was his job, or his daily routine? How did he live? In December 1834, when all slaves were emancipated, he would have been only sixteen years old by then, when the world as he knew it changed, and a new reality set in. Did he survive long enough to be freed, to fall in love, to marry and set up a business of his own? Did he have any family members? If so, where were they? And did he find them again after emancipation? What kind of life did a young man who was born into slavery live after he was freed? These are questions that animate the study of slave archives. Slight as the information is about Adonis, there are so many other stories, much like his, that have never been told, but can be imaginatively reconstructed through searching for answers to these questions. This practise will not only bring to light to the stories of individuals that have been locked in the archive, it may possibly grant insight into the life of the individual living during slavery. These are to certify, that the deceased, J.F.G. Pietersen on acc’ of the Estate of J.A. Myburgh, having sold Mr Ryk Hendrick Myburgh Philip’s son residing in this district as appears by a Sendeer bill dated 26 & 28 Feb 1829 a copy of which is deposited in this office a male slave, named Adonis (2) old about born in Colony male 24th May 1818 said slave has accordingly been transcribed and duly registered as the property of said Myburgh. 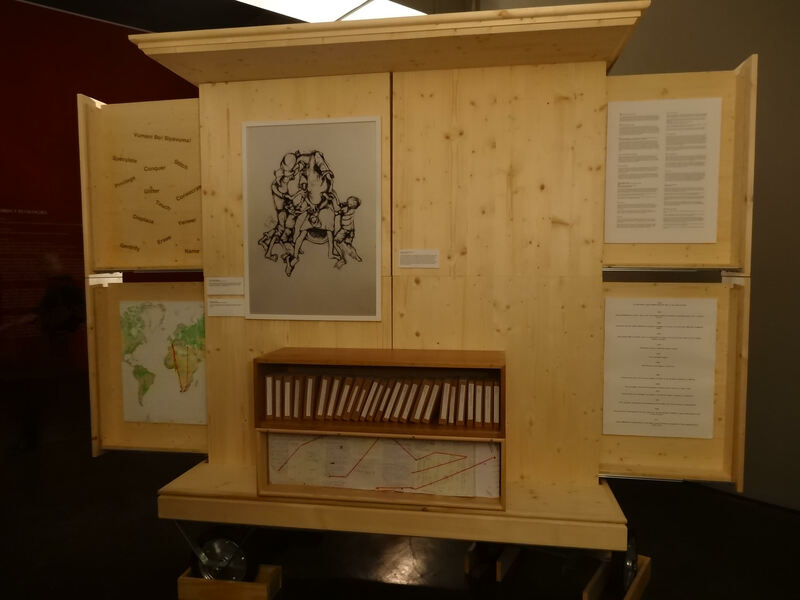 The information above comes from a document housed at the Iziko Social History Centre (ISHC) in Cape Town. 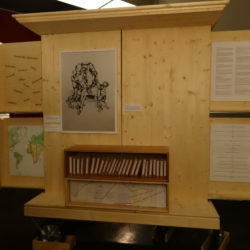 The ISHC houses many collections from southern Africa and the world, including collections relating to the Cape’s colonial history, which this document forms a part of. The document is a ‘Slave certificate’ issued by the Stellenbosch slave office on the 26th of May 1829, as a record of the sale of a slave boy named Adonis. The ISHC has very little information about this document, which has no accession number. Curators say it may have been misplaced during recent renovations to the ISHC. Without this number, it is difficult to trace whether the certificate was donated or collected, when it entered the collection, and any of its travelling history before it came to be a part of the collection. 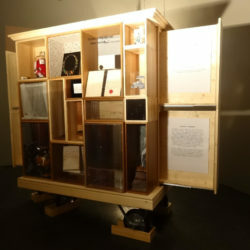 The document is stored in a metal archival drawer, between layers of light, acid-free paper. When the paper is removed, it lies sandwiched between lilac-blue window mount board, with two other documents from the early 1800s that relate to slaves. The certificate has a mostly even, light-yellow tone, a sign of the breakdown of the cotton-fibre paper. Darker yellow stains at the three fold lines running across the width of the paper suggest the document was stored in an envelope before it was laid flat in the museum. There is also a slightly darker yellow discolouration around the edges, where the mount board rests on the paper. Curators say that the document is extremely fragile and should be handled with extreme care. The details on the certificate show that the estate of the deceased, J. A. Myburgh, was sold to Mr Ryk Hendrik Myburgh. Within the estate, as was common during that time, were a number of slaves, one of whom was named Adonis. Adonis was only eleven years old. Although he was born long after the Slave Trade Act of 1807, the young Adonis was still subjected to slavery, because the Act abolished the trade of slaves but not the ownership of them. In those days, any child born of a slave was also a slave, thus enabling slave owners to increase their slave numbers without trading. This certificate is specific to the sale of Adonis within the estate. Adonis’ sale at only 11 years old means he was probably born a slave, and had known no other life. 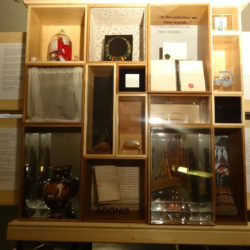 Very little more is known about Adonis, as little is known about the document that informs us of his existence. It may be possible to find more details about Adonis’ life through research in the archives, but ‘Adonis’ was a common name for slaves. Europeans regularly ascribed slaves new names, and Chaudhari argues this practice of changing slaves’ names operates as a form of marginalisation and erasure, as naming is most communities is an important ritual, and the removal of such is a loss of identity the individual (2013: 30). The name Adonis can be tracked back to the mythology of ancient Greece. Adonis was an attractive young man who was liked by Aphrodite, goddess of love and beauty, and Persephone, goddess of the underworld’ (Merriam-Webster, 2018). That the young slave was given this name can be understood as a way of denying him his history, and tying him to an unfamiliar culture. The removal of his birth name or the denial of his parents’ right to name him served to isolate Adonis from his heritage, his history and his family. The Cape was made up of slaves from all over the eastern parts of the world that the Dutch East India Company (commonly known as the VOC) had traded with in Asia. Adonis’ family may have come from one of the many groups brought to the Cape as a result of the slave trade. The challenge of tracking down more information about Adonis can also be attributed to the fact that slaves were seen as assets, comparable to a modern day tractor, vacuum cleaner or dishwashing machine. They were not regarded as people with lives and histories, and thus the records of their existence generally only include the information of their births, deaths and sales. On 1 December 1834, the British parliament abolished slavery in the colonies. Adonis would have been 16. Slaves were not fully freed, however, as they had to work an unpaid apprenticeship to allow the slave owners to adjust to a life without slaves. The freedom of slaves cost the British government £20 million – which was, oddly enough, paid out to the slave owners, not the enslaved (Walvin, 2009: 141). The certificate itself is made up of two main components: paper and ink. Paper in the early 1800s was made from rags (used cloth) that were beaten to a pulp and processed into paper. This certificate is likely made from cotton rags, as paper was only made from wood pulp after the 1850s (Valente, 2010). These rags often come from old clothes or offcuts. Cotton was grown in the United States and harvested and processed by slaves. Gene Dattel (2009) writes that the American economy thrived due to ‘slave-produced cotton’, America’s largest export from 1803 to 1937. The biggest importer of this cotton was Britain, and the British cotton manufacturing business was the biggest contributor to its thriving economy in the 1800s. Thus, the cotton used to produce this paper may have come from the United States, completing a circle wherein cotton harvested by slaves was transformed and eventually used to record the sale of a young slave on the far side of the globe. Slavery and trauma are not just written onto the paper but may be literally embedded in its fibre. If Adonis he was still alive in 1834, he would have been ‘freed’ at the age of 16. I cannot help but wonder what might have happened to him thereafter. Did he have an apprenticeship, and continue to work as a slave? Was he a farm worker in Stellenbosch, or was he held by his employer and paid via the ‘dop’ system? Did he become a free man and return to his family? What was his favourite food? Did he fall in love and have children? If so, have we met any of his descendants? These are things that I will continue to research, but there is no guarantee that I will find out any more than I already know. Adonis was one of millions of African slaves who built the British and American economies. They received no compensation for their enslavement, and most remained in servitude via other forms of forced labour after slavery was abolished. The story of slavery is long and painful, and we seek to uncover the stories of individuals who our current archives have omitted. 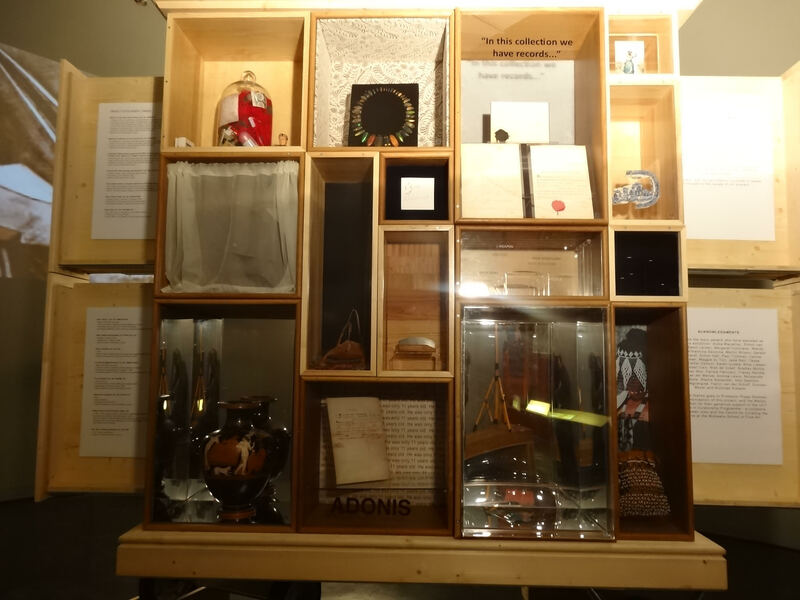 The stories of Adonis and many others may never be told, as the archives of the time deemed the details of their life stories to be insignificant. ‘Adonis’. 2018. Merriam-Webster dictionary. Available: https://www.merriam-webster.com/dictionary/Adonis [Accessed 9 September 2018]. Chaudhari, S. 2013. ‘Van Vandag af Is jou Naam Februarie!” Naamgewing en Naamstroping in Tekste van Diana Ferrus, I. D. du Plessis en Rayda Jacobs. Tydskrif Vir Letterkunde 50(2): 30–46. Available: http://link.galegroup.com.ezproxy.uct.ac.za/apps/doc/A341937176/AONE?u=unict&sid=AONE&xid=f2a07e9c [15 August 2018]. Dattel, Gene. 2009. Cotton and Race in the Making of America. US: Dee (Ivan R.) Inc.
Henry, N. 2018. Slavery Abolition Act. Britannica Academic Online. Availible: https://academic-eb-com.ezproxy.uct.ac.za/levels/collegiate/article/Slavery-Abolition-Act/626035 [6 September 2018]. Kolar, J., A. Štolfa, M. Strlič, et al. 2006. Historical Iron Gall Ink-Containing Documents: Properties Affecting their Condition. Analytica Chimica Acta 555(1): 167–174. Reuters. 2007. CHRONOLOGY – Who banned slavery when? Available online: https://www.reuters.com/article/uk-slavery/chronology-who-banned-slavery-when-idUSL1561464920070322 [15 August 2018]. Valente, A. J. 2010. Changes in Print Paper during the 19th Century. Proceedings of the Charleston Library Conference. Available: http://dx.doi.org/10.5703/1288284314836 [15 August 2018]. Walvin, J. 2009. The Slave Trade, Abolition and Public Memory. Transactions of the Royal Historical Society 19: 139–149. Available: http://www.jstor.org.ezproxy.uct.ac.za/stable/25593895. Watson, R. L. 2012. Slave Emancipation and Racial Attitudes in Nineteenth-Century South Africa. New York: Cambridge University Press. Paper travelled from Britain to the Cape. Under Cover of Darkness, Iziko Slave Lodge, 26 September 2018 – 21 October 2019. Watson, R.L. 2012. Slave emancipation and racial attitudes in nineteenth-century South Africa. New York: Cambridge University Press. Chaudhari, S. 2013. 'From today onwards, your name is February!' Naming and name stripping in texts of Diana Ferrus, I.D. du Plessis and Rayda Jacobs/'Van vandag af is jou naam Februarie!' Naamgewing en naamstroping in tekste van Diana Ferrus, I.D. du Plessis en Rayda Jacobs. Tydskrif Vir Letterkunde. Available: http://link.galegroup.com.ezproxy.uct.ac.za/apps/doc/A341937176/AONE?u=unict&sid=AONEξd=f2a07e9c. Kolar, J., Štolfa, A., Strlič, M., et.al. 2006. Historical iron gall ink containing documents — Properties affecting their condition. Analytica Chimica Acta. 555(1):167-174. Gene Dattel. 2009. Cotton and Race in the Making of America. US: Dee (Ivan R.) Inc.